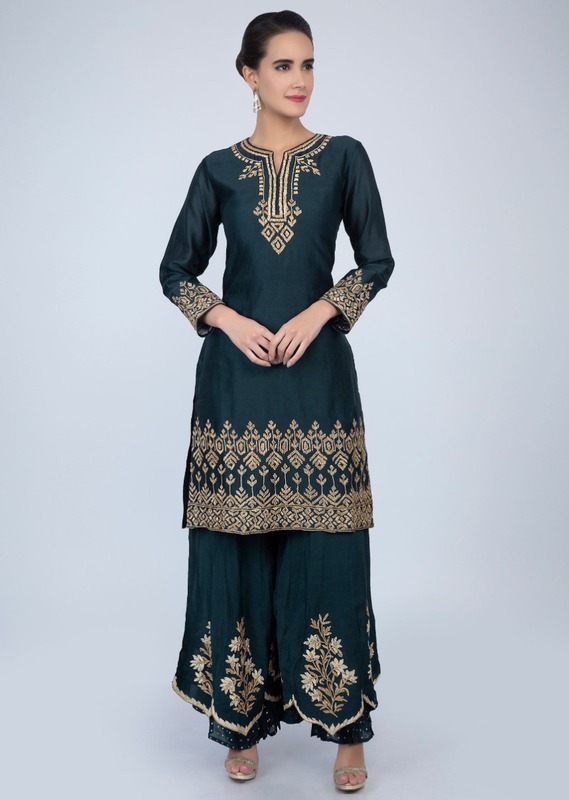 Dark blue cotton silk suit with embroidered neckline, placket, hem and rim sleeves. Enhanced with flat lace embroidery. It comes with a chiffon matching palazzo with cotton layer. 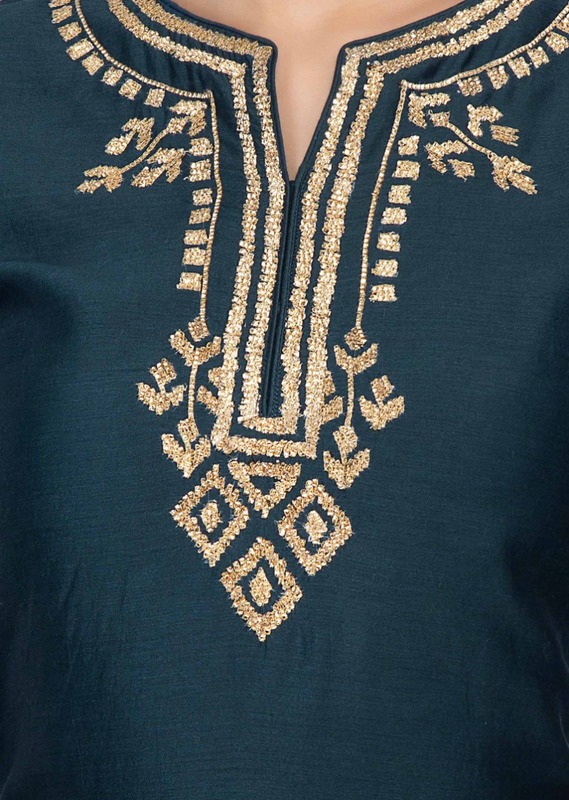 The hem of the palazzo is adorn with flat lace on the top layer and under layer in golden tikki. 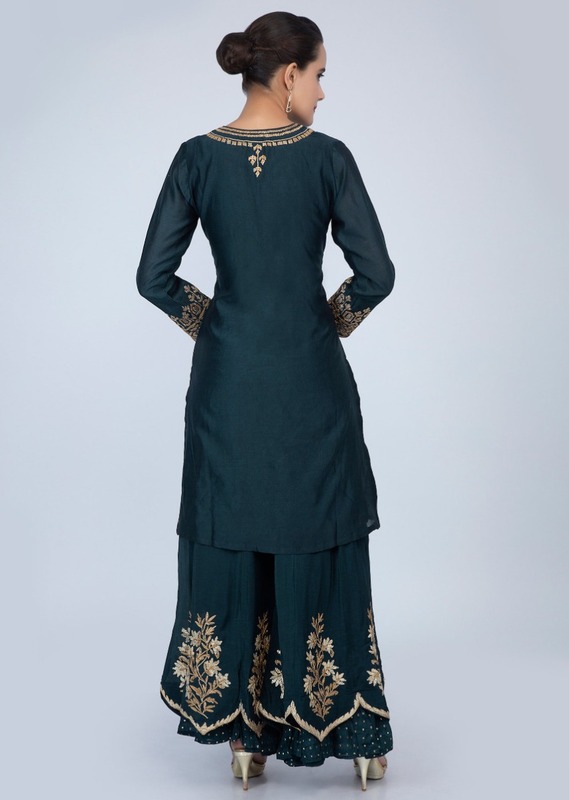 Paired with a matching chiffon dupatta with tikki butti.